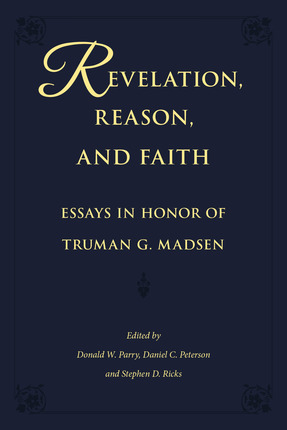 Edited by Donald W. Parry, Daniel C. Peterson, and Stephen D. Ricks (each of whom also author a chapter), the 800-plus-page volume contains contributions by 31 scholars, 10 of whom are not Latter-day Saints, reflecting the wide appeal of Madsen's academic work and influence. 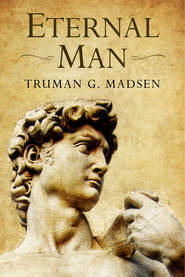 The non-LDS contributors include the noted biblical scholars David Noel Freedman, James H. Charlesworth, and Jacob Milgrom. Additional contributors are Davis Bitton, M. Gerald Bradford, S. Kent Brown, Richard L. Bushman, Joseph Dan, James E. Faulconer, Guttorm Fløistad, Rebecca L. Frey, Gary P. Gillum, Ann N. Madsen, Daniel B. McKinlay, Louis Midgley, Blake T. Ostler, David L. Paulsen, David Rosen, David R. Seely, Andrew C. Skinner, John A. Tvedtnes, Seth Ward, David J. Whittaker, and R. J. Zvi Werblowsky. DANIEL C. PETERSON received a bachelor's degree in Greek and philosophy from BYU and his Ph.D. in Near Eastern Languages and Cultures from UCLA. He is a professor of Islamic Studies and Arabic at BYU, founder of METI (Middle Eastern Texts Initiative), and the editor of Interpreter: A Journal of Mormon Scripture. He and his wife, Deborah, are the parents of three sons.